A delicious treat from Vegan Flavors. Including Greensweet liquid stevia processed. Put all the ingredients, except for the chopped coconut, into the food processor and switch on. When you have a sticky ball, you turn 20 equal balls. 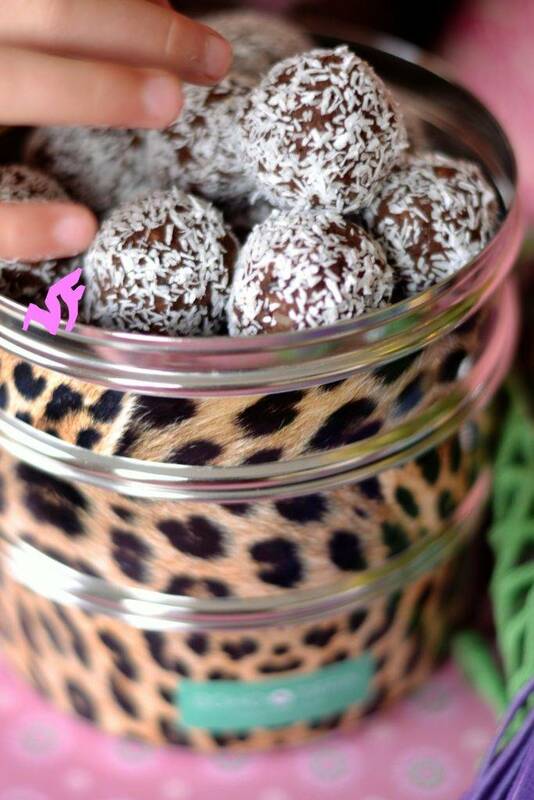 Roll the balls through the coconut and place them on a plate. Put the plate with the blissballs in the fridge, making them a bit stiffer. Do you want to enjoy your blissballs for longer? Then freeze them so that you always have a healthy snack in the freezer for a later time.